A new trade association has been created to represent and promote the business of real estate agents and other businesses who actively support their communities by donating to nonprofit organizations through their business. 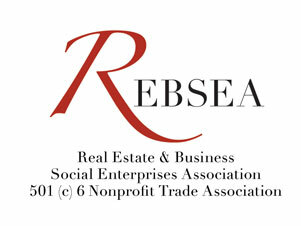 It is the Real Estate & Business Social Enterprises Association, REBSEA, A 501(c)(6) non profit trade association. Founded by several real estate agents from different states, REBSEA has set a goal of becoming an umbrella organization for all businesses that support the communities they serve by donating part of their revenue to local, national, and international Nonprofits. REBSEA members include a multitude of business models and ways of Giving Back. Its singular purpose is to drive traffic and business to its members which results in more support for Non Profit Organizations. 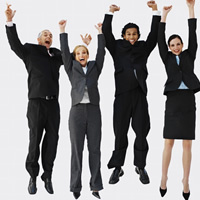 There are presently hundreds of real estate agents who donate regularly to Non Profits from their commissions. It is most interesting to note that prior to the creation of REBSEA most had no idea that there were others doing the same. When the initial Founders realized through tedious research that there were so many real estate agents doing this they approached several of the largest and best known Non Profits and asked a simple question. If REBSEA could unite many or even most of these people into a viable national network, would they be interested in working with REBSEA to do direct fundraising for them? The response was a resounding “YES”. Once the network is formed they will inform their local chapters and make it part of their fundraising campaign, that if any of their supporters are going to be buying or selling a home or property, that if they choose to work with a REBSEA Member, that at closing the Non Profit will receive a donation from the agent. For the agent this is like receiving a referral from a Non Profit instead of another agent, which is routinely done. This will begin as soon as REBSEA completes forming its network of FOUNDERS, real estate agents committed to Giving Back. They report a strong initial response from reaching out to the people they have thus far identified as currently Giving Back with new Members joining REBSEA almost every day. Each new member is being designated as a FOUNDER because REBSEA is actually and truly being founded by each of them. Among the initial Founders are several who are also Certified EcoBrokers. This organization has been certifying real estate professionals for over 12 years, meaning that they have been through intensive training and have attained a high degree of knowledge in all areas of environmental effect and energy efficiency as regards home ownership. By providing sound advise and expertise to their clients, REBSEA considers this a very valuable contribution to their communities, and therefore an important way of Giving Back. The Certified EcoBrokers who have already joined REBSEA also support nonprofits from their business. There is more to the actual plan devised by the REBSEA Founders. There are millions of Americans who consciously and deliberately seek out products and services from companies that contribute to worthy causes. REBSEA intends to bring to their attention that they can CHOOSE to work with real estate agents and businesses who Give Back in their own town or city. This is the sole purpose of REBSEA, to drive traffic and business to their members which means more support for Non Profits. REBSEA will do this by creating a directory of participating members from coast to coast. This may seem like an overly ambitious goal but the reality is that the pieces already exist and are functioning. The task is to organize them. By starting with a committed group of Founders who are already experiencing the benefits, both personally and professionally, of Giving Back to their communities and the causes that they feel strongly about, REBSEA plans to demonstrate to other real estate agents and businesses that Giving Back is not only good business but also GOOD FOR BUSINESS. You can also reach out to find out more about REBSEA at info@rebsea.org. Real Estate Agent Photos and Perceptions. Tips to Increase Your Business with the Right Photo. What Makes a Great Looking Real Estate Brochure? Sign up now to receive our latest articles about the real estate industry by email!